Home » All Forums » [Beverage Forum] » The Beverage Forum » Sad to say, I really like Angry Orchard rose hard cider. Hard cider is IMO, just wine made with apples rather than grapes. Like wine it comes in different flavors and quality. I am not a big wine fan, and in general, the "better" the wine, the less that I like it. I mention this to show where I am coming from. We make mostly sweet cider from our small orchard, but have made hard cider too. 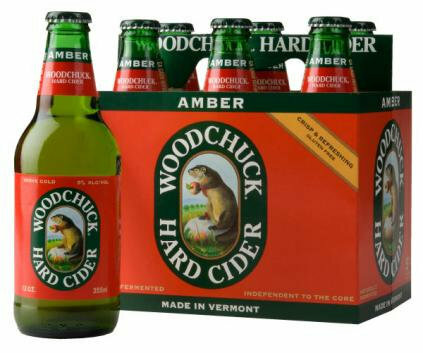 The best hard cider, was, IMO, just OK. (Our sweet cider is, IMHO, world class) I have had a few bottles of some of the "best" hard cider in the world, and thrown most of it down the drain. The "great" cider is made with special cider apples like Whitney, Harrison, and Dabinet, rather than left over eating apples. The Angry Orchard Rose, "Made with rare French red fleshed apples", is the best that I have had, but it is IMO not "real". It is made with hard cider AND other stuff, and colored with beet juice. It is just alcoholic apple soda. So.......based on my poor wine expertise you can laugh at my hard cider opinion, but I really like the Angry offering. I get a laugh that it is made by the Sam Adams people, who when making beer, would NEVER add stuff like they do to the cider. I like it also. This is my favorite. I am not a big wine fan, and in general, the "better" the wine, the less that I like it. That's why the best wine is the stuff you drank in high school, illicitly obtained by your friend with the fake ID. While it probably isn't available in your area, if you get the chance you should try the ciders from Rhinegeist Brewing in Cincinnati. They're fantastic! The Semi-Dry Cidergeist is really good. They also make a rose ale called Bubbles that is very ciderlike and tasty! Why sad to say. Enjoy and like what you want. Opinions are just that..opinions. A list of Oregon cider makers. Perhaps RBM can perform his magic. Our local Apple Outlaw makes a community cider each year where everyone donates their extra and imperfect fruit. Always tasty and tart and cheap ! There is a pear cider out there that you should try. Of course I don't know the name, but it was very good. Then again, I used to like Zima. There are a number of them out there. Pear ciders are called Perry. Fortunately, with the boom in craft brewing has come a boom in craft ciders and Perry is a favourite in the brewing community. Not sure about any mass produced ones but there may well be some nice small batch ones available in many areas. Check with your local beer stores that are into selling craft beers. Wow! That's a lot of cider houses! My wife would be in heaven! Then again she's quite fond of Oregon and has threatened me with retiring to Portland. I keep mentioning the high taxes and cost of living. I think we may just agree that Asheville, NC is a better choice! Thanks, RBM. The rest of Oregon is more fun. She’d love the Rogue Valley. 0nly 20” of rain and palm trees. According to some fellow Roadfooders, Ashland and Asheville have a lot in common. Apple Pie, flavored apple wine from Indiana is really good. (Oliver Wine Co, or something like that, I think) It is almost water white and over 8 pct alcohol. About $15 for 750ml. Haven't run into that item, but the regular Oliver wines leave a great deal to be desired. At their price point there are vastly superior wines available. Maybe they should switch over to all apple wines. Their Ice Wine is good. If Ice Wine is like Eiswein, then YUM! My daughter bought some of their cherry flavored product last night. Also (in my uneducated opinion) good. Most wine lovers that I know like "dry"..The 2 Oliver products that I have had are sweeter. The bottles say that they are an employee owned company. I looked them up on the internet, and the winery looks like a nice and well run tourist trap out on a highway........If I were in the area, I would stop.